Cheese Plastic…No, We are Serious. Well this is new, I have heard of corn plastics…but now Cheese plastics? This is quite interesting, if they are using products that would be waste I find that quite resourceful. Please let me know what you think about this new technology! At ENSO were all about innovative technology that will make a difference and is good for the earth. Is Cheese the Next Sustainable Packaging Solution? Cheese makes a tasty addition to any meal, but did you ever guess it could be used for packaging? Researchers say that a biodegradable plastic made from cheese byproducts could reduce the need for synthetic packaging and keep useful materials out of the landfill. The bioplastic made from whey protein is the result of the three-year WheyLayer project, a European Commission-funded research and development project in Spain’s Catalonia region that aims to solve a common packaging woe. In the food industry, oxidation of oils, fats and other components can lead to unpleasant colors and flavors. So, keeping oxygen out of packaged food is essential. Plastics like PE (polyethylene) and PP (polypropylene) are excellent moisture-blockers, but to keep out oxygen, they must be coated with expensive synthetic polymers. Most of these polymers – such as EVOH (ethylene vinyl alcohol polymer) and PVDC (polyvinylidene chloride polymer) – are petroleum-based and extremely difficult to reuse, as it is almost impossible to separate each layer for individual recycling. Whey, the milk protein byproduct of cheese production, provides similar oxygen-blocking properties, but it’s much cheaper and more environmentally friendly. The new packaging – developed by Barcelona-based research company IRIS – replaces synthetics with whey protein-coated plastic fibers, which could save loads of money and make packaging more readily recyclable. After packaging is used, whey protein can be chemically or enzymatically removed, and underlying plastic can be easily recycled or reused to make new packaging. In addition to saving money and raw materials, the new application could also keep millions of tons of whey out of European landfills. Each year, European cheese factories produce 50 million tons of whey. Some of it is reused as food additives, but almost 40 percent is thrown away. Discarded whey collected from cheese producers can be filtered and dried to extract the pure whey protein, which can be used in several thin layers to create a plastic film for use in food packaging. While the packaging is subject to patent applications, researchers expect it to appear in consumer products within a year. The bioplastic is expected to be used for cosmetics packaging first, and food packaging applications will follow. The technology will likely be used in the European market at first. But many companies from around the globe showed interest in the packaging when researchers took it to the Interpack international trade fair for packaging and processes back in May. This entry was posted in Biodegradation, Latest Blogs, Plastic news, Product Innovation and tagged biodegradable plastic, Bioplastic, bioplastics, Catalonia Region, Cheese Factories, Cheese Production, earth friendly alternatives to plastic, ENSO additive, ENSO biodegradable plastic, enso brand, ENSO plastic solutions, ENSO Plastics, European Cheese, Food Additives, good alternatives to plastic, landfill, Landfill Facilities, Loads Of Money, Milk Protein, Packaging Solution, PET plastic, plastic alternatives, Plastic Fibers, Polyvinylidene Chloride, Pp Polypropylene, Recycling Solution, reduce, sustainable packaging, Synthetic Polymers, Tasty Addition, Useful Materials, Vinyl Alcohol on September 2, 2011 by ENSO Plastics. So what exactly is PLA? PLA also known as Polylactic acid or polylactide (PLA) which is a thermoplastic aliphatic polyester derived from renewable resources, such as corn starch in the United States, tapioca products (roots, chips or starch mostly in Asia) or sugarcanes (in the rest of world). Let’s get one thing straight PLA is not compostable in home compost, go ahead and try…you will be waiting a very long time and it still might not happen. PLA is ASTM 6400 which means a product can be considered compostable if a product has undergone 60% biodegradation within 180 days; the standard is 15-18 weeks at a majority of industrial compost facilities. So these industrial compost facilities, where are they? According to this site in the United States there are 422 composting facilities registered, what each facility is capable of composting I am unsure, you would have to contact the particular facility you are interested in. So if you buy PLA products, such as PLA single use eating utensils and you do not have access to an industrial compost or you just think it will be okay to throw the fork, spoon or knife in the garbage because it seems natural enough, unfortunately it is not. That fork, spoon, or knife could take hundreds of years to decompose. If you do not plan to send your single use PLA purchases to an industrial compost, I do not see how it would be a rational investment. Not only because PLA utensils will sit in a landfill forever but because they are not very durable, they bend and break very easily and can become droopy if placed in heat. So if you’re not planning on disposing of PLA properly what have you accomplished? If you are one of those people who does not have access to an industrial compost or really just do not have time to think about it and prefer quality products, try purchasing biodegradable & recyclable plastic products , for example ENSO plastics. If you like this blog and my vlog don’t forget to comment and Subscribe to my YouTube channel! I always have weekly updates!! This entry was posted in Biodegradation, Environmental News, Green Marketing, Latest Blogs, Plastic news, Thought Provoking and tagged biocompostables, biodegradable plastics, compostable, corn cutlery, corn plastics, corn utensils, earth friendly, earth friendly products, earth friendly shopping, elizabeth royte, ENSO biodegradable plastic, ENSO Bottles, ENSO Plastics, false advertising, false marketing, go gree, going green, greenwashing, I am whatever you say I am, landfill, nature works, not compostable, PLA, Polylactic acid, REcyclable plastic, renewable resources, the truth about PLA on June 21, 2011 by ENSO Plastics. Are Bioplastics Really as Biodegradable as You Think? Starch from corn is used to create PLA plastic. When you hear the word “bioplastics,” you might imagine a bottle or container that easily breaks down into soil and other natural matter soon after it’s tossed — but that’s not necessarily the case. Bioplastics are made with ingredients from renewable sources, such as potatoes and corn starch (also called PLA plastics), rather than petroleum or natural gas, and therefore, you would expect them to be biodegradable. Surprisingly, this is not always true, and there are many drawbacks to bioplastics you may not be aware of. First, bioplastics can’t be recycled with traditional polyethylene terephthalate (PET) plastics because they contaminate the PET plastic stream. Wouldn’t it be terrible if all the plastic you’ve so diligently placed in your recycle bin for the past month winds up in a landfill because some “bioplastic” got mixed up in it? And sorting the different plastics is an option, but that takes time, accuracy and a hefty financial commitment. Second, landfill environments rarely provide a sufficient amount of heat, light and oxygen necessary for bioplastic breakdown, so bioplastics that end up there don’t decompose and instead last for hundreds, or possibly thousands, of years. Bioplastics that are marketed as being “biodegradable” can cause a lot of confusion. The misunderstanding lies in the area between what the material is capable of (the extent and rate at which it biodegrades) and what specific conditions must be present in order for it to do so. For example, a corn starch-based plastic certainly has elements that will break down, but it needs the application of extremely high heat for this to occur, something that likely won’t be present in a landfill, nor in your compost heap in the backyard. These plastics will have to be accepted by one of the few commercial composting facilities, where all the decomposition conditions can be controlled, in order for them to successfully biodegrade. Traditional PET and PLA bottles could last for thousands of years in a landfill. Other drawbacks to bioplastics include abnormalities from a manufacturing and distributing standpoint. PLA plastics just don’t “behave” quite the same way that traditional plastics do. For example, bottles, utensils and other objects made of PLA plastic can only resist heat up to 110 degrees Fahrenheit (with certain resins, possibly up to 200 degrees) before their strength is compromised and they begin to melt. Additionally, bioplastics generally have weaker oxygen barriers and decreased impact resistance. All these factors can negatively impact shelf life, ease of distribution and contact with hot foods and liquids. It would seem as though consumers have to choose either PLA plastics, which will melt, reduce product shelf life, contaminate recycling and last for centuries in a landfill, or traditional PET plastics, which work great but will last for just as long. So what do you do? An effective solution to this problem must take the needs of manufacturers and distributors, as well as realistic landfill conditions and the processes of recycling facilities, into consideration. ENSO Bottles manufactures plastic bottles that have been specifically designed to meet those challenges. During the plastic’s creation, an additive is included which inserts organic compounds into the polymer. The result is a plastic with the same properties as traditional PET plastic (with regards to strength, heat resistance and the oxygen barrier) that can be recycled right along with PET plastic, but can also decompose in a typical anaerobic landfill environment. What’s the key? Microbes. 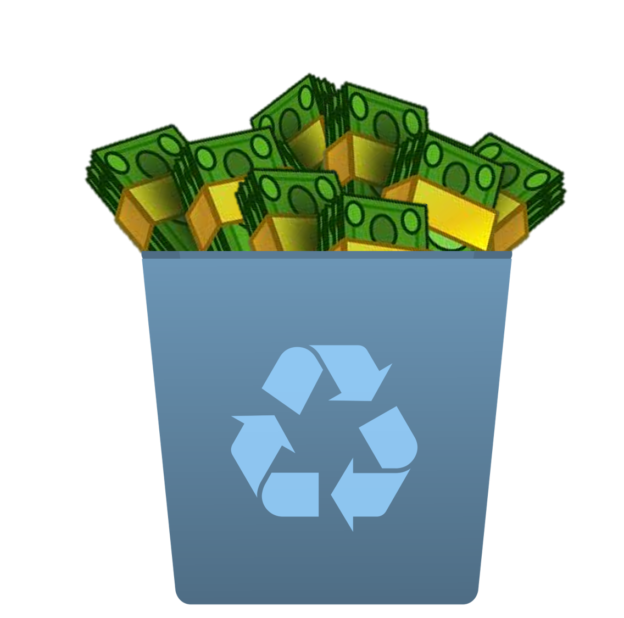 Check with the recycling facility to see what it does and does not accept. With those organic compounds added into the molecular structure of the plastic, ENSO Bottles become very attractive food sources to the microbes present in landfills, and the plastic is “eaten away,” in a sense. As the microbes seek out the nutrients provided in the ENSO additive, they break down all parts of the polymer chain, including the plastic, into non-harmful bio-gases and bio-mass in a process that typically lasts between one and five years — a far shorter timeframe than the potentially hundreds or thousands of years it takes a traditional PET bottle to decompose. So the next time you start to toss a bioplastic water bottle or packaging into a trash bin, consider where it’s probably headed: a landfill, where it will likely never experience the ideal conditions it requires to biodegrade. Contact your local collection facility instead to learn whether or not it accepts that category of plastic (referred to as #7), and better yet, consider your alternatives, such as the biodegradable ENSO Bottles. This entry was posted in Latest Blogs and tagged aerobic, anaerobic, biodegradable plastic, bioplastics, corn starch, decomposition, ENSO Bottles, landfill, microbes, PET plastics, PLA plastics, plastic melting point, polymer chain, what is PLA plastic made of on October 19, 2010 by Marie Look. The book titled GONE TOMORROW The Hidden Life of Garbage by Heather Rogers was a very informative read. This book is a follow up to the 2002 documentary, also titled Gone Tomorrow: The Hidden Life of Garbage. Heather is a journalist and filmmaker based in Brooklyn, New York. The United States is the world’s number one producer of garbage: we consume 30 percent of the planet’s resources and produce 30 percent of all its wastes, but we are just 4 percent of the global population. These are staggering numbers which I personally find incomprehensible. I’m guessing that this is one of the reasons why more people do not get involved in this issue. We have implemented over 5,000 recycling programs throughout the country which are more of a means to helping us feel better about the massive amounts of garbage being created. There is no real global plan for stewarding the earth, which is one reason we created the company ENSO Bottles, to address the plastic bottle pollution on the planet. This entry was posted in Latest Blogs and tagged garbage, landfill, trash, Waste on August 22, 2009 by danny.clark. With the domestic and world markets looking into alternative energy, it is not surprising that the use of biogas created by our landfills are emerging as an easy answer to clean energy (see bioreactor landfill). What is surprising is that this seemingly untapped resource has been available for decades, and is only now being taken serious as a mainstream source for clean energy. With countries like England adopting a massive effort to capture and utilize methane from waste off gassing from landfills, it is another exciting development towards a green and responsible stewardship of our planet for future generations to come. Here in the US, we are looking to forge ahead in the ambitious challenge to change the way we are consuming our products and resources, and in turn how we dispose of them. There are the “old school” influences that are entrenched in “status quo”, but do not be fooled, change is here, and the scale is tipping towards a healthier way we treat our planet. We are changing mainstream things that could set a new course our children will look back and thank us for. Look at the city of San Jose, CA were this city’s vision has a goal of using 100% of the city’s electrical power from clean renewable sources. These are exciting times where innovations like our biodegradable bottles are springing up, and alternative sources for clean power are emerging. We are excited about our involvement in this transformational process that is taking place because we can help rid a pollution problem both from a litter perspective, as well as an emission perspective. Our biodegradable plastic bottles will biodegrade to reduce plastic trash in the environment, and in the process create clean energy from the methane off gassing produced by the degrading process in a landfill. We are first and foremost an advocate of recycling; recycling should and must be the goals of everyone within the voice of our message-please choose to recycle! But with the rates of recycling as low as they have historically been in the US, we take solace in that we can still achieve a positive effect by providing clean power through our plastic PET bottle technology. This entry was posted in Latest Blogs and tagged biodegradable bottles, biodegradable plastic bottles, bioreactor landfill, BioTec, clean energy, EcoPure, ENSO Bottles, garbage, Green, landfill, sustainability, trash on June 22, 2009 by danny.clark.